After several meagre years, the halo spring in Finland has shown signs of revival. Nothing big has been observed, but since the end of April the number of displays with rare halos has been reasonable. In Turku pyramidal display photographed by Ismo Luukkonen ( 1 - 2 ). Odd radius halos and arcs from 9° to 35°. Jukka Ruoskanen was alert in Riihimäki. 35° halo from stacked images ( 1 ). In Helsinki also Reima Eresmaa noticed the odd radius halos ( 1 ). Jari Luomanen had an all sky display with Wegener arcs in Tampere ( 1 ). High clouds in two layers in Joensuu. Pyramid halos in the upper layer were shortly observed when gaps in the lower layer allowed ( 1 - 2 ). Photos by Marko Riikonen. In Seinäjoki the display was much better ( 1 ). Marko Myllyniemi took the photo. 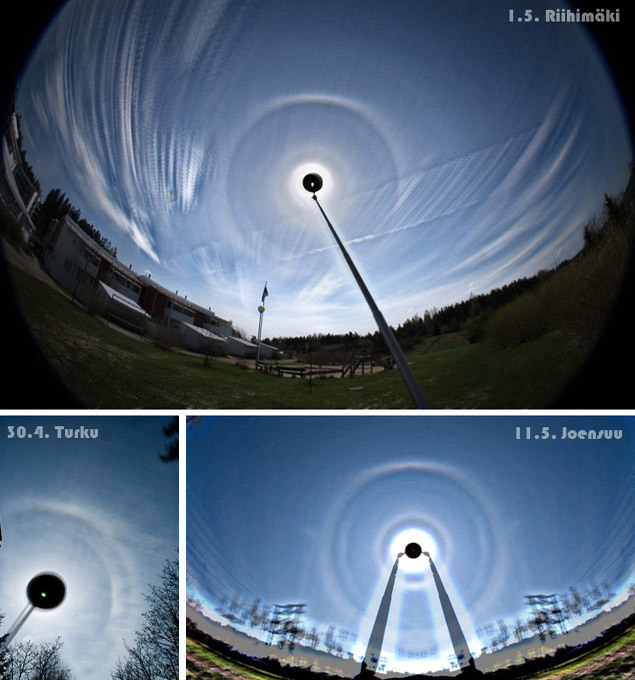 In Turku Ismo Luukkonen captured halos from 9° to 24° ( 1 - 2 - 3 ). By Marko Mikkilä in Nivala ( 1 ). Faint pyramid halos were observed also in Juva by Jari Piikki ( 1 ). 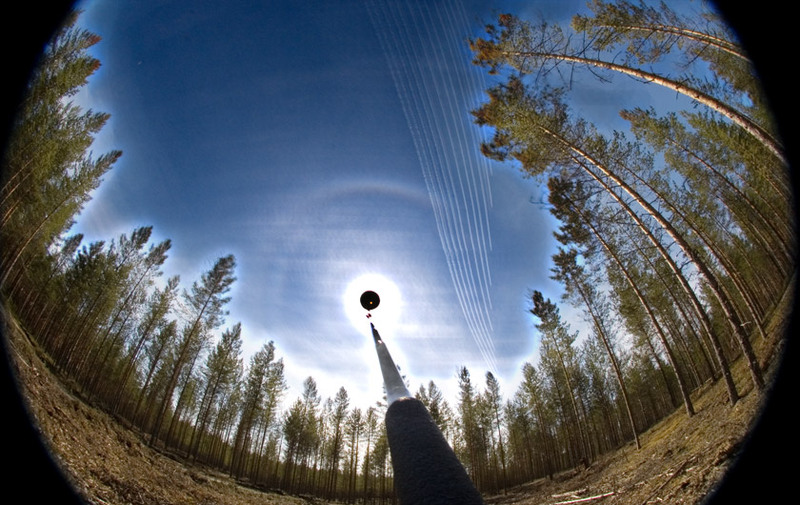 In Joensuu pyramidal halos were seen for several hours. In single photos lower 9° plate arc is visible ( 1 ). Stacked images reveal more features ( 1 - 2 - 3 ). Some of the halos are labelled: plate arcs "p" and circular halos "h" (or just the radii). In Kuusankoski Eero Savolainen saw very faint pyramidal halos. No photo shown here. The pyramidal crystals seem to have arrived to Hungary today. But nothing comparable to these photos, only a weak 9° halo. 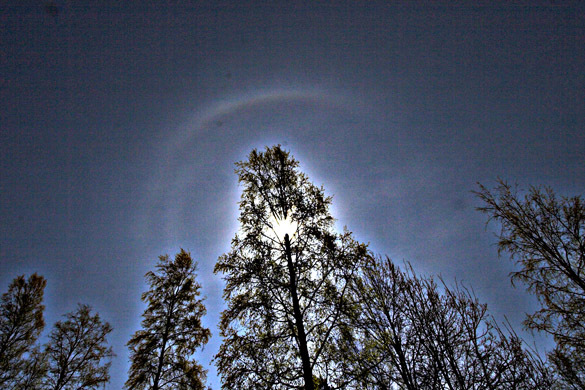 In Belarus I see 22 halo on May 15, 13, 7, 6; but were was nothing intresting. Added here another case from 10 May.